The world has many opinions about what it means to be, and act as, a human person. As Christians, these influences compete with our true identity, which is not based in the world’s ideas about love and relationships. In John 14, the Lord Jesus stated His test for true love: obedience to His Word, which is the basis for fellowship with the Father and the Son (vv.21-24). Obedience produces a unique character in those who truly desire to follow Christ. Correspondingly, our faith should lead us to be conformed only to the image of Christ, leading to real-world results in our daily activities. 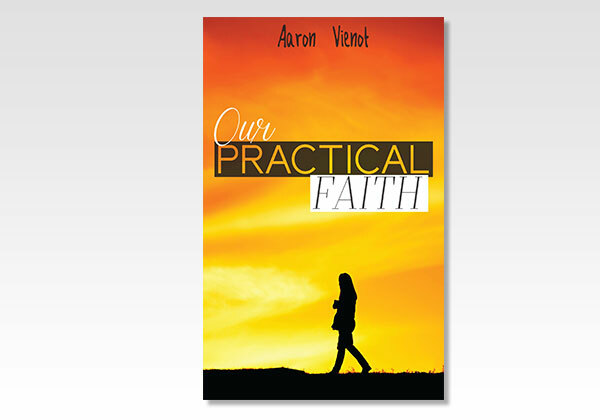 The goal of this book is to show how God’s Word gives a consistent message regarding what God wants to see in our practical lives. We examine how the Christian can relate to the Lord, to the Assembly (Church), to governments, and to daily life and activities, using a variety of Old and New Testament passages. In offering this book to our readers, both author and publisher desire that Christians would be led into a deeper and more meaningful relationship with our Lord and Savior, Jesus Christ! Aaron Vienot is an engineer who works in the electrical power industry. He discovered a love of writing at an early age and, as a young man, began meditating on God’s Word by compiling his personal Bible study notes into short writings. He and his family live near Denver, Colorado and enjoy a beautiful view of the Rocky Mountains.